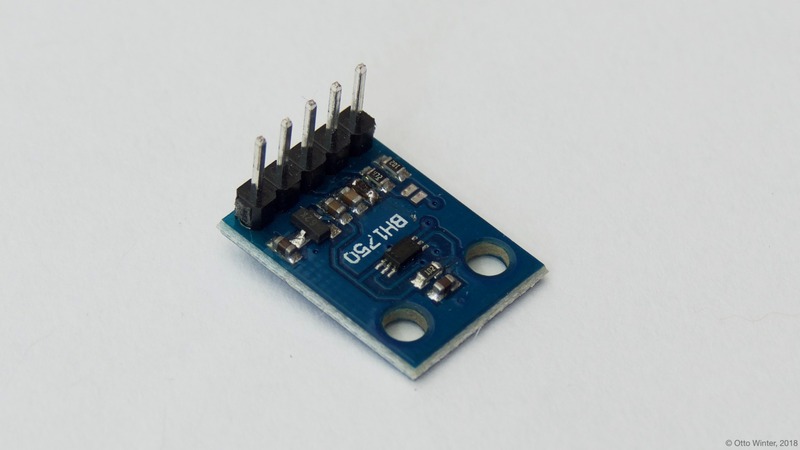 The bh1750 sensor platform allows you to use your BH1750 (datasheet, Aliexpress, mklec) ambient light sensor with ESPHome. The I²C bus is required to be set up in your configuration for this sensor to work. name (Required, string): The name for the sensor. address (Optional, int): Manually specify the i^2c address of the sensor. Defaults to 0x23 (address if address pin is pulled low). If the address pin is pulled high, the address is 0x5C. resolution (Optional, string): The resolution of the sensor in lx. One of 4.0, 1.0, 0.5. Defaults to 0.5 (the maximum resolution).